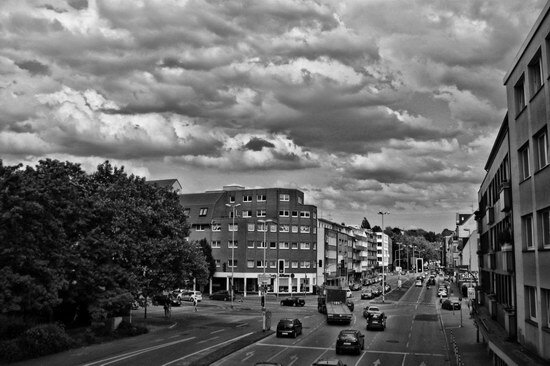 Just an ordinary street scene from a couple of days ago, but the clouds looked perfect for a black-and-white treatment. This is Mülheim’s Dickswall seen from the left pedestrian bridge looking east..
Well, I said that they were coming, and here they are :-). 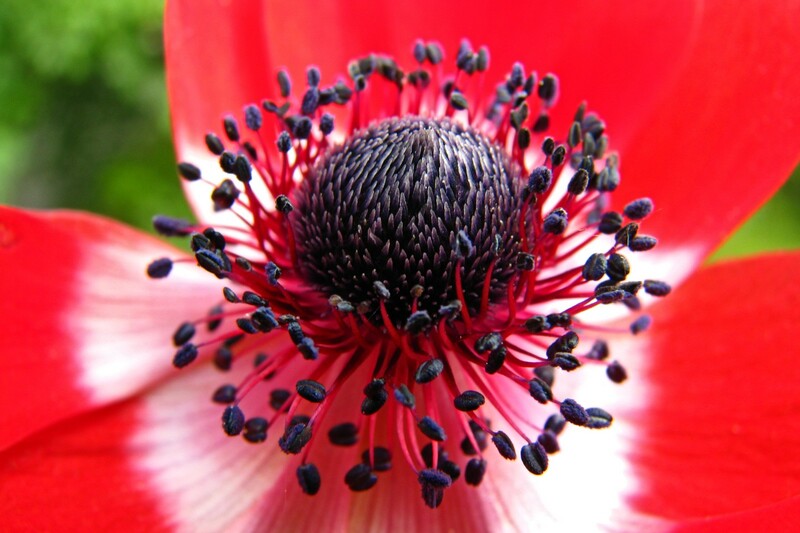 Sometimes the Anemone look quite orderly in the middle, but not this one :-). The second of the three hot air balloons which flew over our city yesterday – I liked this one most :-). 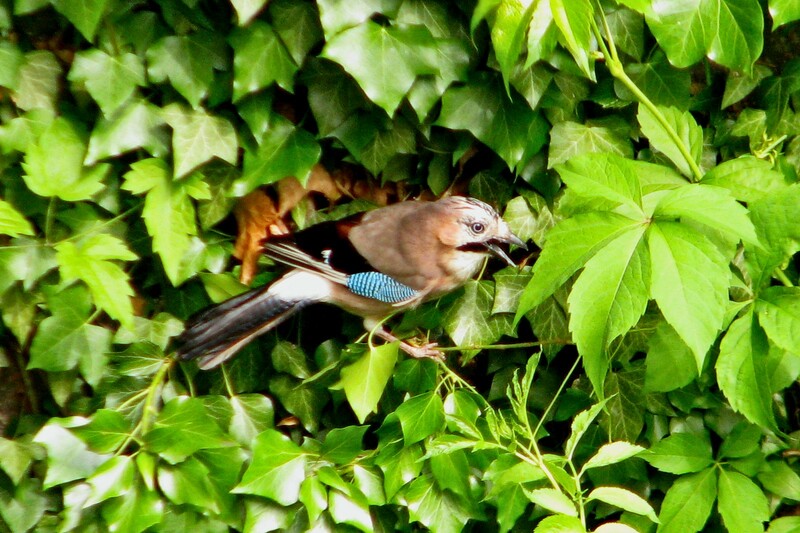 We saw this Eurasian Jay yesterday picking around in the ivy across our balconies – one of them comes visiting every spring for a short time. We were not sure if it was trying to raid a nest or something, but it was loudly harrassed by a lot of other unseen birds, who were making loud clicking noises! 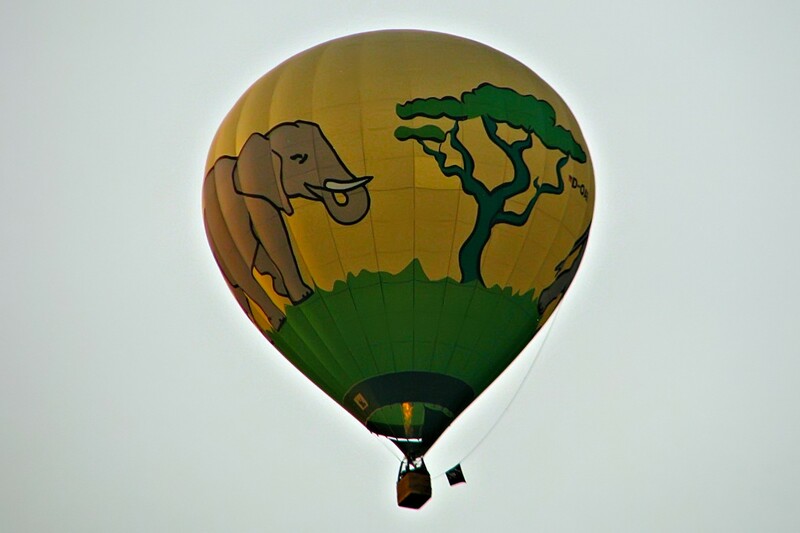 After a while it flew off, obviously annoyed – this is the best photo I was able to take. 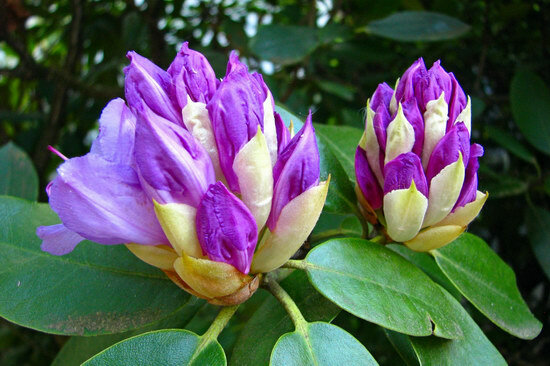 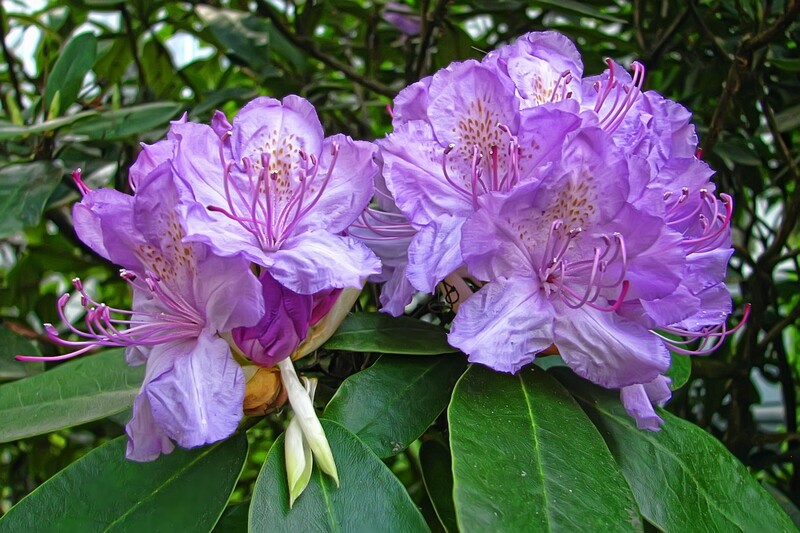 The Rhododendrons are coming :-). 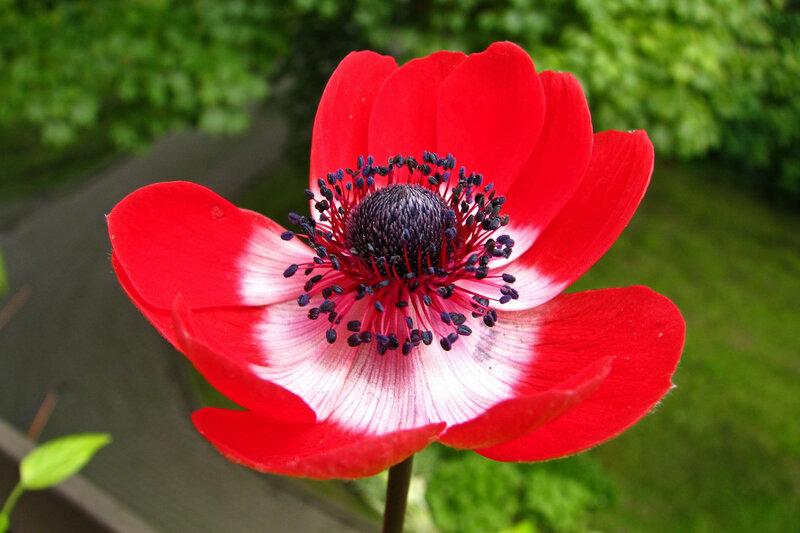 Back to the great and irresistible Anemones :-).